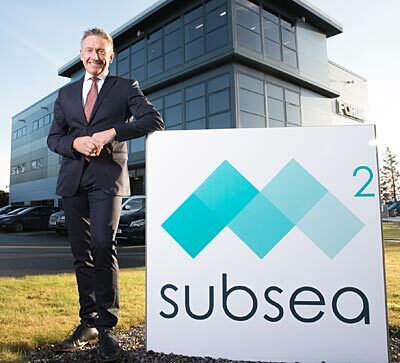 M2 Subsea, the global independent provider of ROV services, has formed an alliance with vessel operator, Harvey Gulf Marine International to provide subsea ROV services in the Gulf of Mexico. The alliance will see M2 Subsea’s ROVs utilised on board Harvey Gulf’s DP2 survey support vessel, the Harvey Bronco. The offshore supply ship will focus on the survey and inspection market and will be equipped with M2 Subsea’s 150HP Triton XLX34 ROV system. The Triton is a heavy duty work class ROV which is rated to 3,000m depth and well suited for all aspects of subsea operations. The system is complete with a top-hat tether management system and equipped with a survey junction box and auxiliary hydraulics. The vehicle will be utilised for inspections and light intervention activities. The Harvey Bronco vessel will be ported at Harvey’s Gulf’s Operation Yard in Port Fourchon, Louisiana and available for immediate work. It is due to be deployed in August 2017 to conduct an underwater inspection of lieu of dry-docking (UWILD) project. Based in Houston and Aberdeen, M² Subsea is the largest independent provider of ROV services, focused on reducing costs and risks to meet the demands of the low oil price environment.